What are C.E.T. Enzymatic Oral Hygiene Chews For Dogs? C.E.T. Enzymatic Oral Hygiene Chews for Dogs are great tasting dental hygiene treats, and are an effective part of any home dental program. C.E.T. 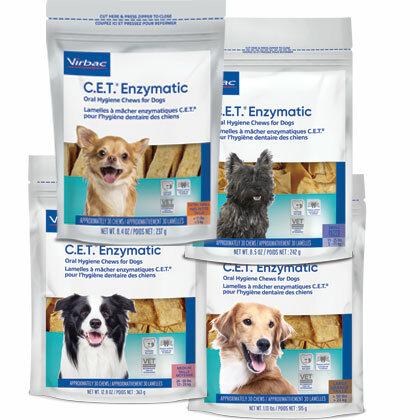 Enzymatic Oral Hygiene Chews for Dogs feature an exclusive dual enzyme system. A natural antiseptic plus an abrasive texture, together with chewing, fights plaque and tartar buildup. Dogs love the texture and taste, and you'll love the dental benefits for your dog. NOTE: C.E.T. HEXtra Premium Chews with the added antiseptic power of Chlorhexidine are also available. Please Note: We cannot ship this product to New Mexico. How do C.E.T. Enzymatic Oral Hygiene Chews work? C.E.T. Enzymatic Oral Hygiene Chews feature an exclusive dual enzyme system, which helps prevent the formation of plaque and bacteria buildup. C.E.T. Enzymatic Chews for Dogs should be part of a complete home dental care program, which includes brushing teeth regularly. Feed your dog one chew on days tooth brushing is not done. Specific directions may be given by your veterinarian and should be followed. C.E.T. Enzymatic Oral Hygiene Chews are intended for intermittent or supplemental feeding only. Keep out of reach of children. The oral hygiene benefit of C.E.T. Enzymatic Oral Hygiene Chews can only be achieved by adequate chewing action. 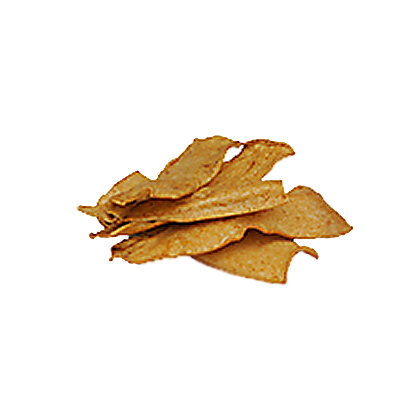 Gulping whole chews will reduce the efficacy and can be harmful to your pet. C.E.T. Enzymatic Oral Hygiene Chews for Dogs feature the exclusive Dual-Enzyme System to remove plaque and prevent the buildup of harmful bacteria. The oral hygiene benefit of C.E.T. Enzymatic Oral Hygiene Chews can only be achieved by adequate chewing action. Gulping whole chews will reduce the efficacy and can be harmful to your pet. C.E.T. Enzymatic Oral Hygiene Chews are intended for intermittent or supplemental feeding only. As with any pet product not intended for human consumption, please keep out of reach of children and wash hands after handling. C.E.T. Enzymatic Oral Hygiene Chews for Dogs should be part of a complete home dental care program which includes brushing, rinsing, and chewing. Feed at least one size Petite chew daily on days brushing is not done, or as directed by your veterinarian. Feed at least one size Medium chew daily on days brushing is not done, or as directed by your veterinarian. Feed at least one size Large chew daily on days brushing is not done, or as directed by your veterinarian. Should be stored at room temperature. Keep out of reach of children.